A few months ago, Lucie, Jenny and I decided to join our local Women's Institute. We expected crochet, baking, jam and Jerusalem. We got the Jerusalem bit, but our ladies are more active in the fields of charity work and worthy causes. Together we could be amazing... 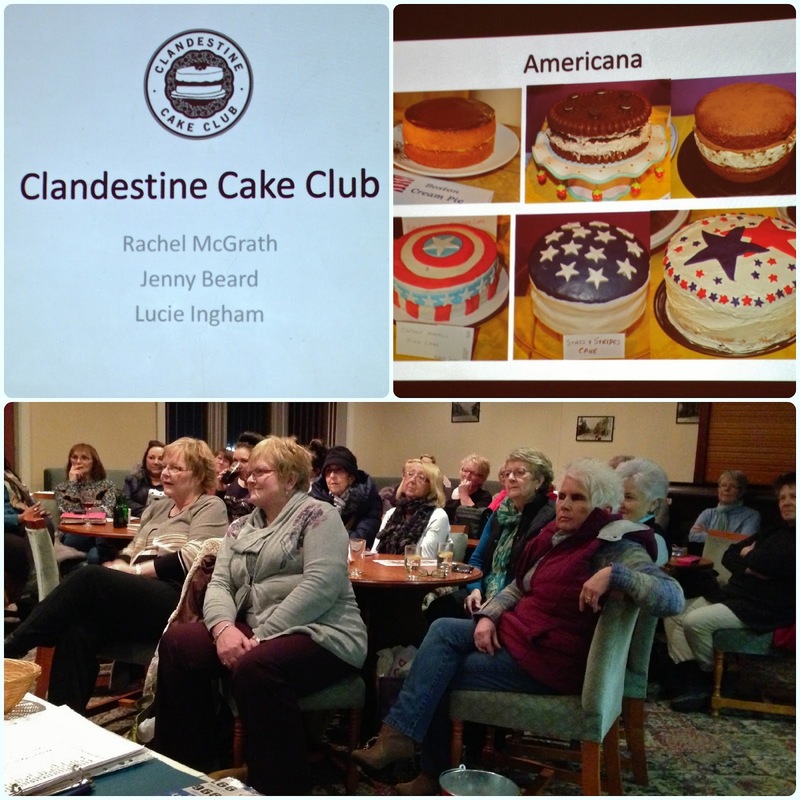 So a couple of months in, we were asked to do a presentation to the group on Clandestine Cake Club. Not long after this was decided, I got a phone call from the lovely Lucy at WI Life Magazine. She was doing an article on the popularity of the club, our new book and the WI members who had recipes published. They printed the wonderful article below, complete with my bright pink bundt! I was thrilled. Last night we did our little talk to a packed audience at Horwich Conservative Club. I gave a brief history of how it all started, how the Bolton branch was born, how gatherings work and explained the rising popularity of the club. Jenny went into detail about the interpretation of the themes we have, whilst Lucie showed the group some of her amazing decorated cakes, and talked about why she wanted to join. We decided that the best way to show the ladies how things work was to have a cake club as part of the show. We invited some of our baking buddies and even had a new recruit on the night. How torturous would it be to speak of cake but not eat any? Not on my watch! So as usual, I set a theme for our club, which was 'When I was just a little girl'. I asked bakers to remember the great british classics from our childhoods. 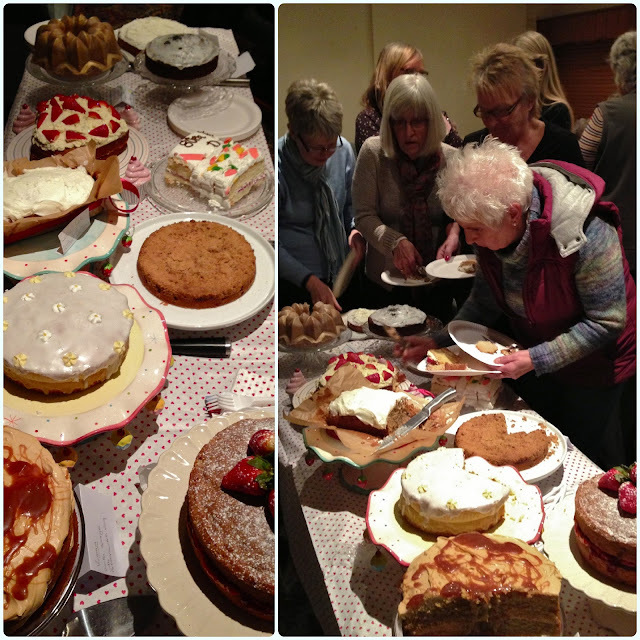 I'm not sure who was more nervous... the cake clubbers who feared baking for the WI, or the WI members who wanted to make a good impression on the bakers! We were a little worried at first that there wouldn't be enough cake to feed around 35 hungry ladies, but as usual there was plenty! We even had enough for them to take some home. 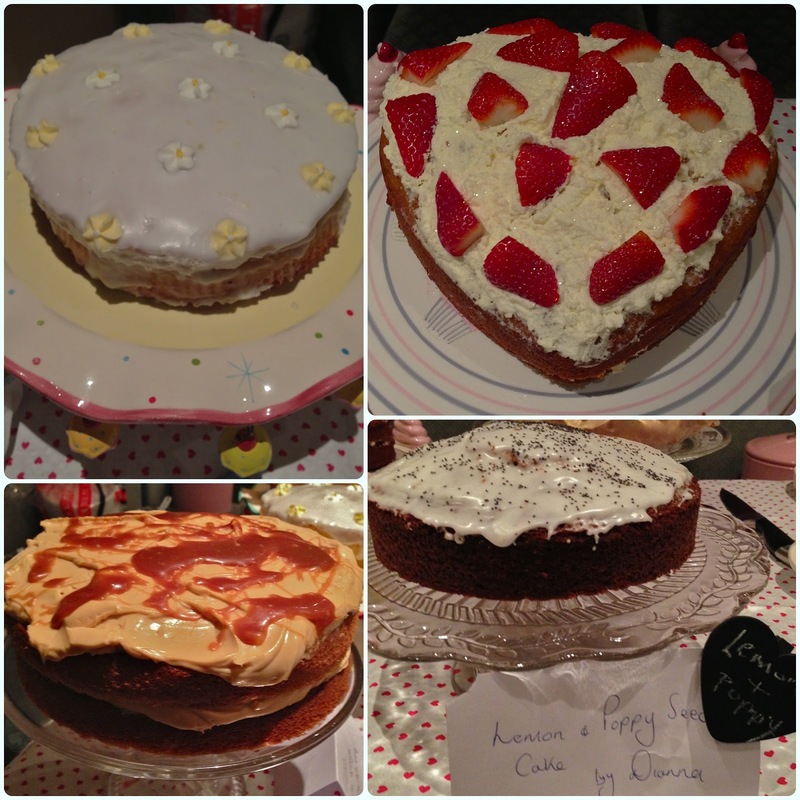 It was lovely to bring a little cake club magic to the group. Because we have a packed schedule at the WI, we rarely have time to sit and chat. 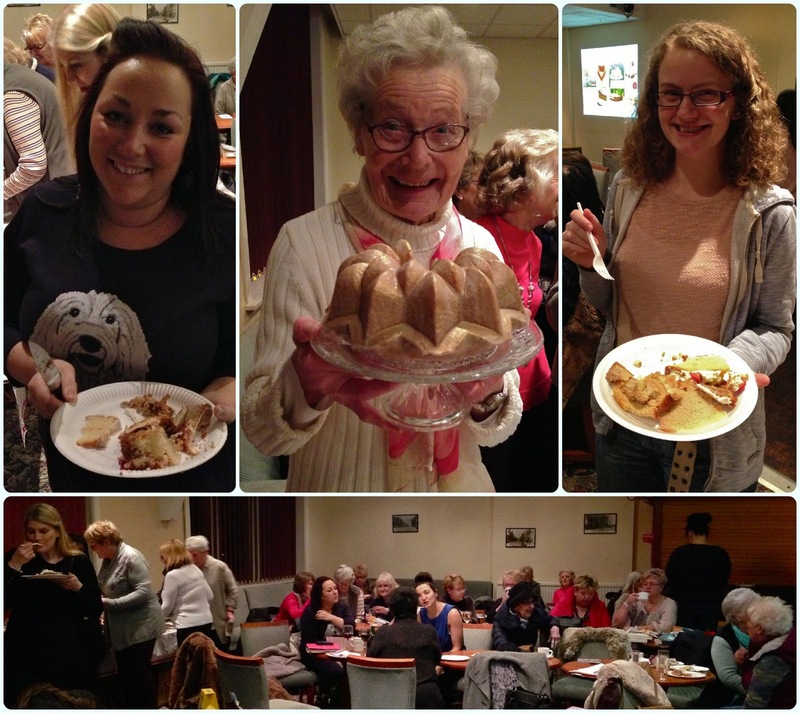 Monday night was perfect because the group got to mingle, meet new people, and enjoy a slice of cake with a cuppa. 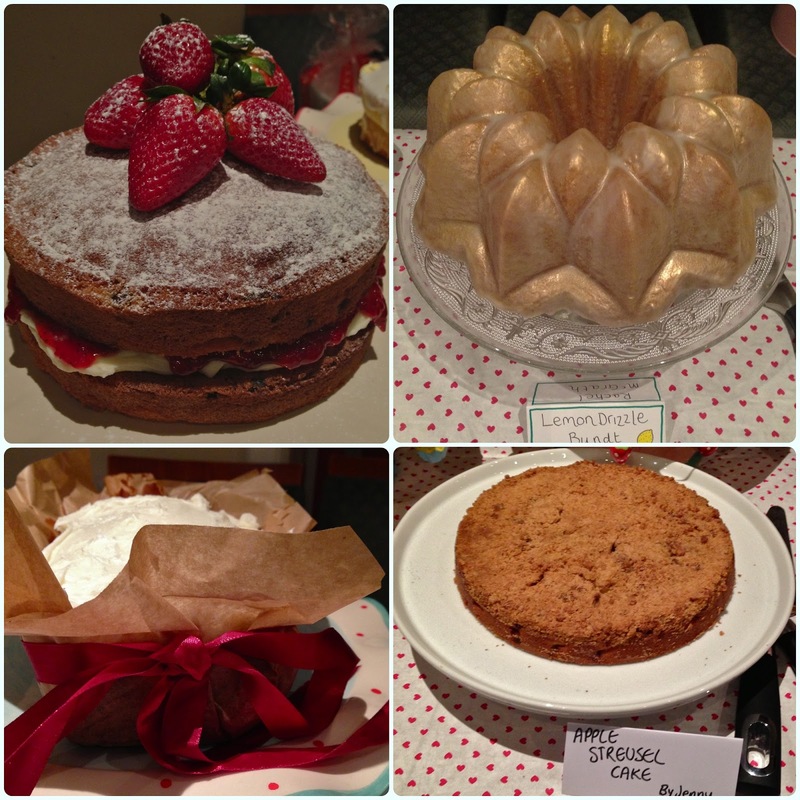 I was keen to impress upon the ladies that cake club is popular because of this laid back, non-competitive atmosphere. We had laughter, cheering and of course... the cake aches by the end of the evening. We had a fantastic time. Hopefully our two organisations can spend more time together over the coming months. If you are interested in joining the Women's Institute, please visit the website. The Horwich WI are also on Twitter @Horwich WI and Facebook at Horwich Women's Institute. We meet on the second Monday of the month at Horwich Conservative Club at 7:30pm. Likewise, if you want to join the Clandestine Cake Club, please visit the website, Twitter @ClandestineCake or Facebook at Clandestine Cake Club.